George Stainthorpe was a licensed victualler. Her married name was Broughton. Jane Ann Stainthorpe was born before 5 February 1864. She was the daughter of George Stainthorpe. Jane Ann Stainthorpe married (?) Broughton. Jane Ann Broughton and Rainforth Kay lived in 71 Somerleyton Road, East Brixton, London, on 4 February 1890. Jane Ann Broughton married Rainforth Kay, son of John Peacock Kay and Mary Rainforth, on 4 February 1890 in Register Office, Lambeth, London. As of 4 February 1890 her married name was Kay. Mary Staley married Matthew Watson on 24 December 1888 in Primitive Methodist Church, Barnard Castle, Co Durham. As of 24 December 1888 her married name was Watson. Ann Stanbridge was born on 6 November 1792 in Lidston, Oxfordshire. She was the daughter of Stephen Stanbridge. Ann Stanbridge lived in Farmington, Warwickshire, on 8 May 1838. She married Thomas White, son of George White and Mary (? ), on 8 May 1838 in Brailes Roman Catholic Chapel, Brailes, Warwickshire. As of 8 May 1838 her married name was White. Ann was recorded in the census of 6 June 1841 living in High Street, Brailes, Warwickshire. She was enumerated as Ann White, age 45, not born in Warwickshire. Ann was recorded in the census of 30 March 1851 living in Brailes, Warwickshire. She was enumerated as Ann White, wife of Thomas White, married, age 58, born in Lidston, Oxfordshire. Ann was recorded in the census of 7 April 1861 living in Brailes. She was enumerated as Ann White, wife of Thomas White, married, age 68, cordwainer, born in Lidston, Oxfordshire. She died on 1 December 1864 at age 72. Stephen Stanbridge was a farmer. He witnessed the marriage of Thomas White and Ann Stanbridge on 8 May 1838 in Brailes Roman Catholic Chapel, Brailes, Warwickshire. Alfred Stanton was born before 3 April 1868 in Hammersmith, Middlesex. He was the son of Henry Stanton and Louisa Ayton. Alfred was recorded in the census of 2 April 1871 living in 1 Spring Vale Terrace, Hammersmith, Middlesex. He was enumerated as Alfred Stanton, son of Henry Stanton, age 3, born in Hammersmith. Alice Stanton was born on 21 May 1855 in 43 Maiden Lane, St Paul, Covent Garden, Middlesex. She was the daughter of Henry Stanton and Louisa Ayton. Alice was recorded in the census of 7 April 1861 living in 14a Bull Inn Court, Westminster, Middlesex. She was enumerated as Alice Stanton, daughter of Henry Stanton, age 5, scholar, born in St Paul Covent Garden, Middlesex. She lived in 12 Swan Place, Newington, Surrey, on 6 December 1874. She married Francis Orritt Mower, son of Henry Mower and Caroline Hicks, on 6 December 1874 in All Saints Church, Newington, Surrey. Her marriage certificate on 6 December 1874 shows her forenames as Alice Langford. As of 6 December 1874 her married name was Mower. Alice was recorded in the census of 3 April 1881 living in 10 Adelphi Terrace, Paignton, Devon. She was enumerated as Alice Mower, servant, married, age 25, nurse domestic, born in Strand, London. She lived in Christ Church, Westminster, Middlesex, on 8 June 1889. As of 8 June 1889 her married name was Coates. She married George Coates, son of James Coates, on 8 June 1889 in Parish Church, Aldeburgh, Suffolk. Alice was recorded in the census of 5 April 1891 living in Coffee Rooms, High Street, Aldeburgh, Suffolk. She was enumerated as Alice Coates, wife of George Coates, married, age 31, born in Strand, London. She died on 25 April 1892 in Aldeburgh, Suffolk, at age 36. Alice died of rheumatic fever and congestion of lung. She and George Coates lived in 6 Taunton Road, Lee, London, on 17 July 1900. Alice was recorded in the census of 2 April 1911 living in 40 Wordsworth Road, Penge, Surrey. She was enumerated as Alice Coates, wife of George Coates, age 36, married, born in Kensington, Middlesex. Emma Stanton was born before 7 November 1860 in St Martin in the Fields, Middlesex. She was the daughter of Henry Stanton and Louisa Ayton. Emma was recorded in the census of 7 April 1861 living in 14a Bull Inn Court, Westminster, Middlesex. She was enumerated as Emma Stanton, daughter of Henry Stanton, age 5 months, born in St Martin in the Fields, Middlesex. Ernest Stanton was born on 23 December 1871 in 1 Spring Vale Terrace, Hammersmith, Middlesex. He was the son of Henry Stanton and Louisa Ayton. Ernest was recorded in the census of 3 April 1881 living in 59 Stebbington Street, St. Pancras, Middlesex. He was enumerated as Ernest Stanton, son of Henry Stanton, unmarried, age 9, scholar, born in Hammersmith, Middlesex. Grace Mildred Stanton was born on 25 April 1862 in 14 Bullinn Court, Strand, Westminster, Middlesex. She was the daughter of Henry Stanton and Louisa Ayton. Grace was recorded in the census of 2 April 1871 living in 1 Spring Vale Terrace, Hammersmith, Middlesex. She was enumerated as Grace Stanton, daughter of Henry Stanton, age 8, scholar, born in St Martins in the Fields. Grace was recorded in the census of 3 April 1881 living in 59 Stebbington Street, St. Pancras, Middlesex. She was enumerated as Grace Stanton, daughter of Henry Stanton, unmarried, age 18, machinist, born in Strand, Middlesex. As of 2 April 1884 her married name was Simmonds. She married Charles Simmonds, son of Charles Simmonds and Mary (? ), on 2 April 1884 in Pancras Register Office, St. Pancras, Middlesex. Grace Mildred Simmonds was the official informant of the death of Louisa Stanton on 10 December 1885 in 59 Stebbington Street, St. Pancras. Henry Stanton was born before 4 April 1827 in St. Pancras, Middlesex. He was the son of Henry Stanton. Henry Stanton lived in 4 Clements Lane, Westminster, Middlesex, on 25 April 1847. He was a coach maker on 25 April 1847. He married Louisa Ayton, daughter of William Ayton, on 25 April 1847 in Saint Clement Danes Parish Church, Westminster, Middlesex. Henry Stanton was a cheesemonger on 22 February 1848. Henry was recorded in the census of 30 March 1851 living in 6 Feather's Court, St Mary Le Strand, Westminster, Middlesex. He was enumerated as Henry Stanton, head of household, married, age 24, cheesemonger's assistant, born in St Paul Covent Garden, Middlesex. Henry was recorded in the census of 7 April 1861 living in 14a Bull Inn Court, Westminster, Middlesex. He was enumerated as Henry Stanton, head of household, married, age 34, cheesemonger, born in St Pancras, Middlesex. As of 25 April 1862, Henry Stanton was also known as Henry Hiram Stanton. Henry was recorded in the census of 2 April 1871 living in 1 Spring Vale Terrace, Hammersmith, Middlesex. He was enumerated as Henry Stanton, head of household, married, age 44, cheesemongers assistant, born in London. He was a salesman on 6 December 1874. Henry was recorded in the census of 3 April 1881 living in 59 Stebbington Street, St. Pancras, Middlesex. He was enumerated as Henry Stanton, head of household, married, age 54, provisions dealer, born in England. He witnessed the marriage of Charles Simmonds and Grace Mildred Stanton on 2 April 1884 in Pancras Register Office, St. Pancras, Middlesex. Henry Stanton was a grocer on 10 December 1885. He was a grocer on 12 December 1886. He married Elizabeth Ann Clifton on 12 December 1886 in Old St Pancras Parish Church, St. Pancras, Middlesex; Elizabeth Clifton described as "Widow." Henry was recorded in the census of 5 April 1891 living in 59 Stebbington Street, St. Pancras, London. He was enumerated as Henry Stanton, head of household, married, age 64, cheesemonger, neither employer nor employed, born in St Pancras, London. He lived in 9 Nelson Street, St. Pancras, London, on 21 May 1899. He died on 21 May 1899 in St Pancras Infirmary, St. Pancras, London. Henry died of paralysis and cardiac failure. Henry Stanton was born before 7 April 1854 in St Paul Covent garden, Middlesex. He was the son of Henry Stanton and Louisa Ayton. Henry was recorded in the census of 7 April 1861 living in 14a Bull Inn Court, Westminster, Middlesex. He was enumerated as Henry Stanton, son of Henry Stanton, age 7, scholar, born in St Paul Covent Garden, Middlesex. Henry was recorded in the census of 2 April 1871 living in 1 Spring Vale Terrace, Hammersmith, Middlesex. He was enumerated as Henry Stanton, son of Henry Stanton, unmarried, age 17, grocers assistant, born in Covent Garden. Henry Stanton was an accountant. He witnessed the marriage of Henry Stanton and Louisa Ayton on 25 April 1847 in Saint Clement Danes Parish Church, Westminster, Middlesex. Isabella Stanton was born before 30 March 1850 in St Paul Covent garden, Middlesex. She was the daughter of Henry Stanton and Louisa Ayton. Isabella was recorded in the census of 30 March 1851 living in 6 Feather's Court, St Mary Le Strand, Westminster, Middlesex. She was enumerated as Isabella Stanton, daughter of Henry Stanton, age 1, born in St Paul Covent garden, Middlesex. Isabella was recorded in the census of 7 April 1861 living in 14a Bull Inn Court, Westminster, Middlesex. She was enumerated as Isabella Stanton, daughter of Henry Stanton, age 11, scholar, born in St Paul Covent Garden, Middlesex. Louisa Stanton was born on 22 February 1848 in 8 Exeter Street, St. Clement Danes, Strand, Middlesex. She was the daughter of Henry Stanton and Louisa Ayton. Louisa was recorded in the census of 30 March 1851 living in 6 Feather's Court, St Mary Le Strand, Westminster, Middlesex. She was enumerated as Louisa Stanton, daughter of Henry Stanton, age 3, born in St Paul Covent garden, Middlesex. Louisa was recorded in the census of 7 April 1861 living in 14a Bull Inn Court, Westminster, Middlesex. She was enumerated as Louisa Stanton, daughter of Henry Stanton, age 13, scholar, born in St Paul Covent Garden, Middlesex. Ada Star was born on 19 March 1875 in Elm Grove, Newport, I o W. She was the daughter of George Henry Star and Agnes Downham. Ada was recorded in the census of 3 April 1881 living in 13 Victoria Street, Mansfield, Nottinghamshire. She was enumerated as Ada Star, daughter of George Hy Star, age 3, born in Mansfield, Nottinghamshire. Ada was recorded in the census of 5 April 1891 living in 18 Victoria Street, Mansfield, Nottinghamshire. She was enumerated as Ada Starr, daughter of George H Starr, single, age 16, born in Carisbrooke, Isle of Wight. She witnessed the marriage of Henry Star and Elizabeth Stoker on 1 August 1900 in Wesleyan Chapel, Mansfield, Nottinghamshire. Ada was recorded in the census of 31 March 1901 living in 52 Victoria Street, Mansfield, Nottinghamshire. She was enumerated as Ada Star, daughter of Agnes Star, single, age 25, dressmaker's assistant, worker, born in Carisbrooke, Isle of Wight. She lived in Victoria Street, Mansfield, Nottinghamshire, on 30 April 1903. As of 30 April 1903 her married name was Robinson. She married Henry Robinson, son of John Robinson and Mary Hallam, on 30 April 1903 in Parish Church of St. Mark, Mansfield, Nottinghamshire. Ada Robinson and Henry Robinson lived in 37 Berry Hill Lane, Mansfield, Nottinghamshire, on 10 December 1927. Ada Robinson died on 10 December 1927 in 37 Berry Hill Lane, Mansfield, at age 52. Ada died of cardiac failure and pulmonary tuberculosis. Agnes Star was a private nurse. 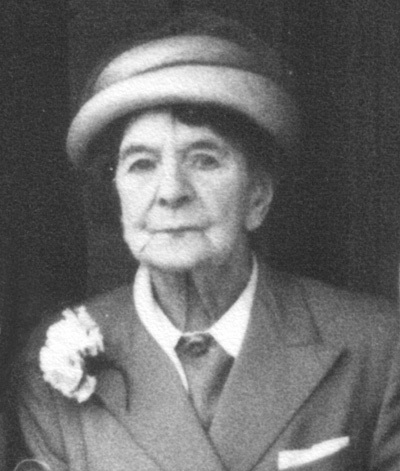 She was born on 3 May 1878 in St. Johns Villas, Mansfield, Nottinghamshire. She was the daughter of George Henry Star and Agnes Downham. Agnes Star was christened on 7 August 1878 in St John's Parish Church, Mansfield, Nottinghamshire. Agnes was recorded in the census of 3 April 1881 living in 13 Victoria Street, Mansfield, Nottinghamshire. She was enumerated as Agnes Star, daughter of George Hy Star, age 6, scholar, born in Carisbrook, Isle of Wight. Agnes was recorded in the census of 5 April 1891 living in 18 Victoria Street, Mansfield, Nottinghamshire. She was enumerated as Agnes Starr, daughter of George H Starr, single, age 12, born in Mansfield, Nottinghamshire. As of before 31 March 1901, Agnes Star also went by the name of Daisy. Agnes was recorded in the census of 31 March 1901 living in 52 Victoria Street, Mansfield, Nottinghamshire. She was enumerated as Daisy Star, daughter of Agnes Star, single, age 23, help (domestic), born in Mansfield, Nottinghamshire. Agnes was recorded in the census of 2 April 1911 living in 52 Victoria Street, Mansfield. She was enumerated as Agnes Star, daughter of Agnes Star, age 32, single, born in Mansfield, Nottinghamshire. She witnessed the marriage of Thomas Alfred Stoker and Blanche Star on 6 May 1911 in Parish Church of St. Mark, Mansfield, Nottinghamshire. Agnes Star was the official informant of the death of Ethel Star on 14 February 1961 in 1 The Towers, Parson Street, Hendon, Middlesex. Agnes Star lived in 1 The Towers, Hendon, on 14 February 1961. She lived in Burdyke Lodge, Corsica Road, Seaford, East Sussex, on 11 September 1974. She died on 11 September 1974 in All Saints Hospital, Eastbourne, East Sussex, at age 96. Agnes died of cardiac failure, myocardial degeneration & fracture neck of right femur. Certified by E N Grace Coroner for Western District of East Sussex after Post Mortem without Inquest. Alice died of haemopericardium, rupture of heart & fatty myocardial degeneration. She was cremated on 11 December 1980 in Eastbourne Crematorium, Langney, Eastbourne, East Sussex. 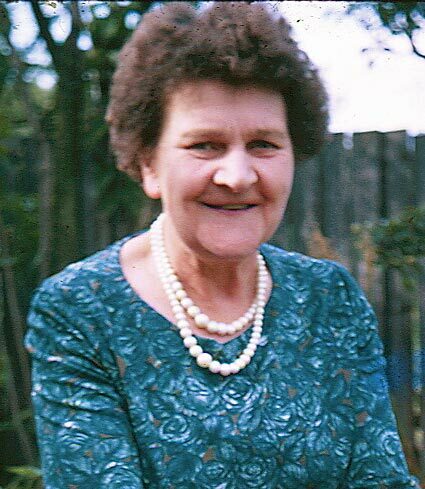 Her ashes were interred on 15 April 1981 in St Andrew's Parish Church, Cheddar, Somerset. Ann Star married John Hawkins, son of George Hawkins and Jane Irish, on 9 December 1799 in St Andrew's Parish Church, Cheddar, Somerset. As of 9 December 1799 her married name was Hawkins. Ann Star was christened on 13 April 1766 in Cheddar, Somerset; privately baptised. She was the daughter of Thomas Star and Ann Norvill. Ann Star was buried on 23 April 1766 in St Andrew's Parish Church, Cheddar, Somerset.